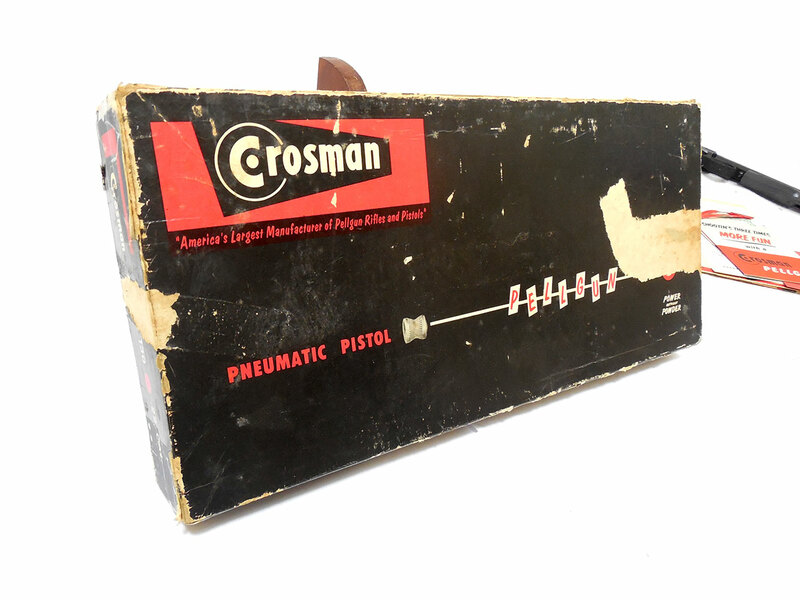 The Crosman Model 130 is a .22 caliber multi-pump pneumatic single shot pellet pistol. 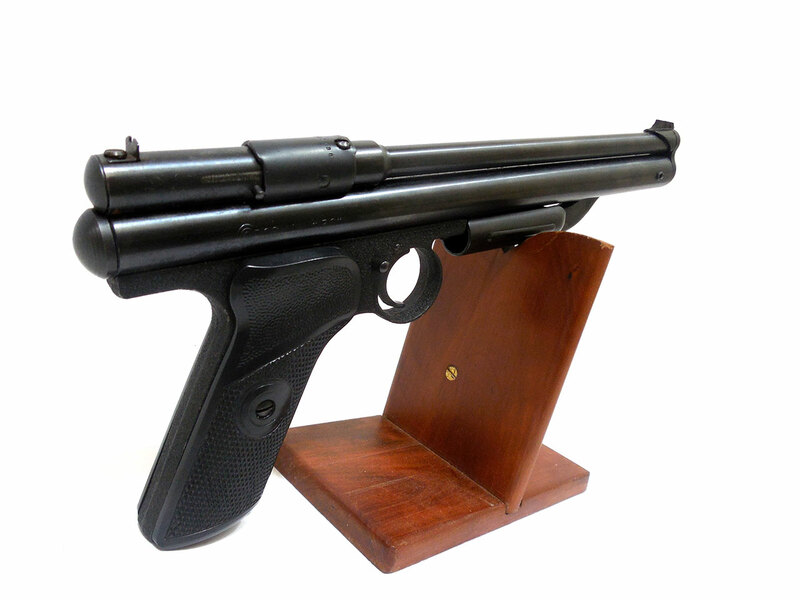 The first variant which was manufactured between 1953 and 1954 has walnut grips and pump handle. 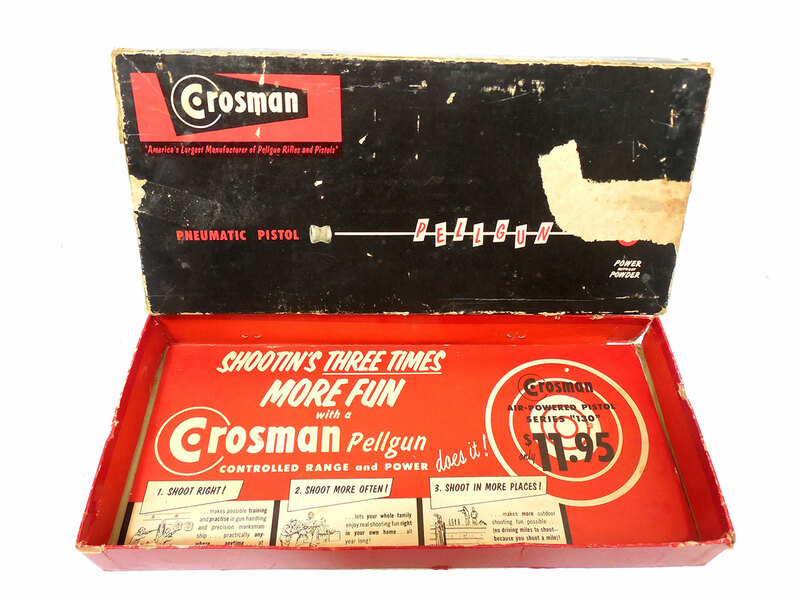 The second variant has plastic grips, a metal pump handle, and was manufactured between 1955 and 1970. 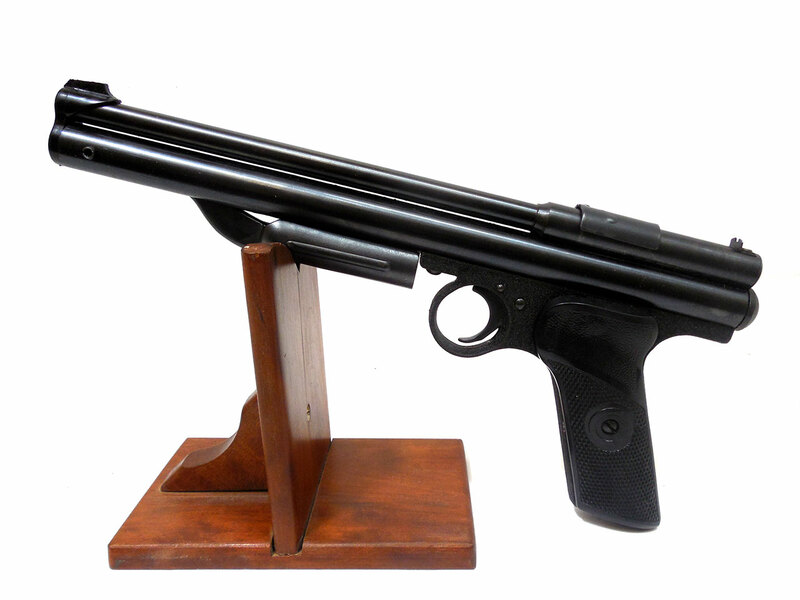 The gun shown here is a 2nd variant. 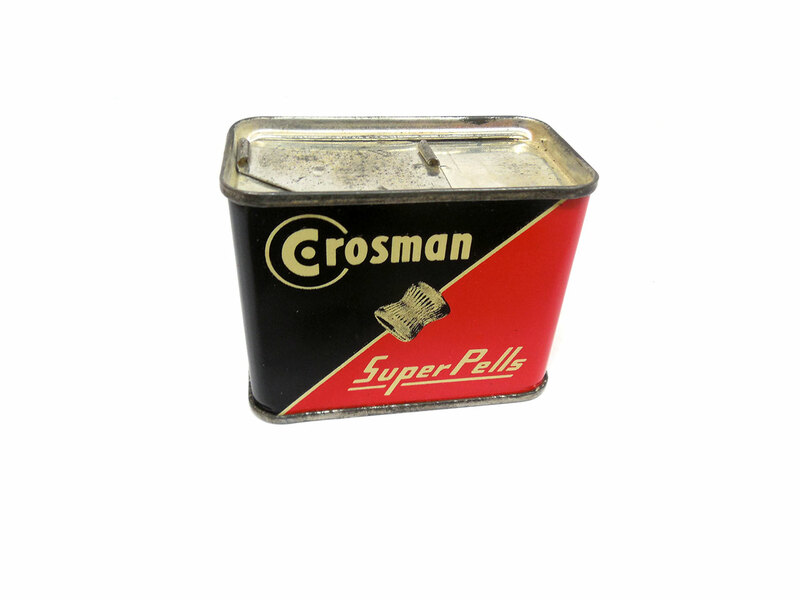 A factory box and a good amount of literature are included in addition to a partial vintage tin of SuperPells. The box is worn in areas with a couple taped corners, but isn’t bad at all for the age. 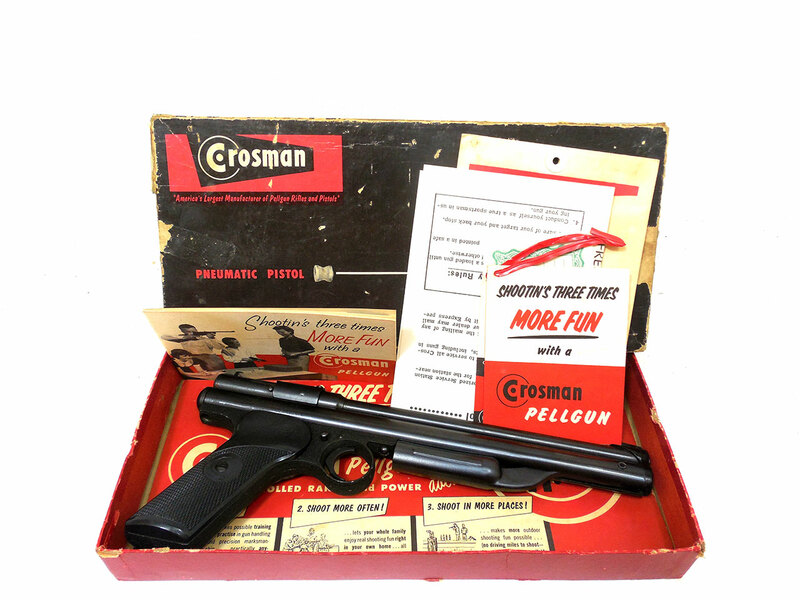 The gun itself retains about 95% of the original finish, and the grips are in very good condition with no cracking or warping. It’s in really good shape! It was recently cleaned, lubed, and resealed in our shop. Velocity was tested at around 360 fps. Shoots good! 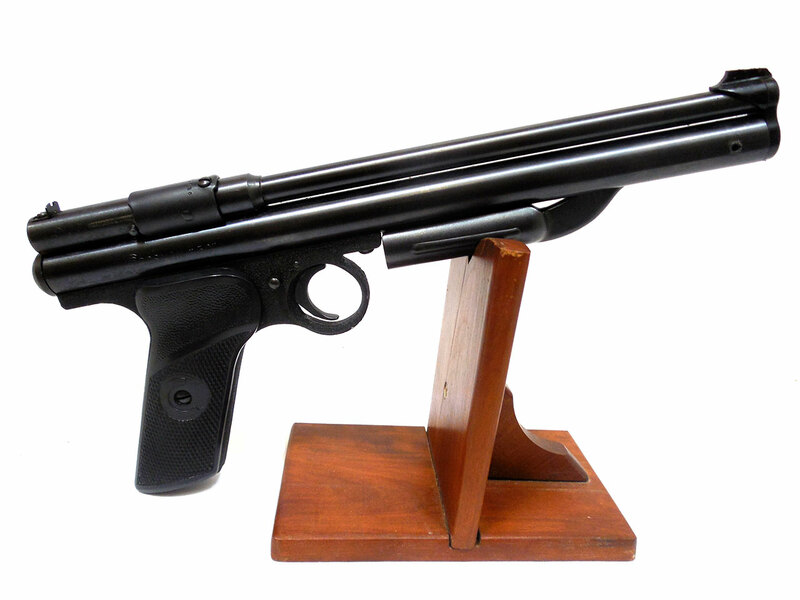 This is a really nice vintage airgun for plinking, and collecting.